On Monday, major events will be related to travel with people from near and far, with your own child or grandchild and to the health of a close person. This is a wide range of events, which in some cases can be interlinked. On this day your communication with relatives who live in another city will be more dynamic due to the development of various important events. Your expenses today will be well planned and in most cases related to your loved ones. This will be a good day to settle a financial document, a contract or to solve a financial problem. For those born under the sign of Aries, Leo or Sagittarius, the day indicates more engagements with relatives. Today, expect a meeting or conversation related to them. On Monday, a gathering event may be a woman-related event. Here’s a nice day for love experiences. If you were born under the sign of Taurus, Virgo or Capricorn, today you will have important public or professional meetings and contacts. This will be a successful and favorable day for a variety of experiences related to your love life or your family. The suggestion or news you receive on Monday will determine some of your plans by the end of the week. If you were born under the sign of Gemini, Libra or Aquarius, today you will have tension connected to your daily tasks. Most of you will be able to achieve satisfactory results, especially if you manage to remain emotionally stable. The surprise today will come through a proposal. Now avoid any kind of pressure on your intimate or marital partner. 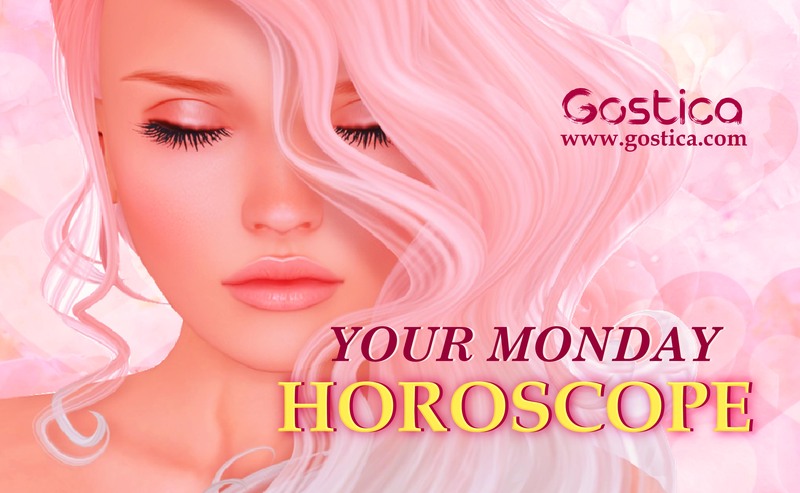 If you were born under the sign of Cancer, Scorpio or Pisces, on Monday you will depend on the actions and decisions of people around you. The day implies love experiences that will be accompanied by strong emotions. Your family will have the occasion to discuss various news from the lives of people you know. You took a situation too seriously that was of no concern to anyone. On this day, you will alert the people around you for no real reason. Perhaps you should reconsider your positions. Someone will have a lot of doubts about your activities because you have not been able to give a proper assessment explaining what you are doing. The whole is not too promising. You will return to having the old doubts about the people around you because in this period, you have not asked for explanations and you have not been able to get in deeper contact with them. Perhaps from today, there may be some interesting developments if you try to get closer in a natural way, without forcing the situation, otherwise you will only find walls in front of you. You have not made it easy for those who are close to you in the professional and personal sphere. Perhaps you should reconsider the way you do things in general. You must not be demoralized, but you must certainly reflect better on your attitudes especially those to be adopted when you are in the presence of your fellow man, who has all the good intentions towards you. On this day, take all the precautions which could lead you to the conclusion of a very important business. So far you have not done anything that could include a positive ending but today will be different. You now have all the skills and tools to make things work. All you need is the last touch for a fair reward. Your efforts should be rewarded. Finally you have entered into the graces of a person, who, on this day, will pay much attention to what you say. It’s not just kindness or infatuation. It could open up very interesting scenarios, which will include new perspectives and new horizons. You should really take advantage of the situation, to grow and to take on responsibilities that you had never thought of considering. On this day, it would be better not to go to places that could destabilize your mood. Instead, you should focus more on positive situations. Take the people around you, colleagues, friends or relatives as an example, who have made it and have managed to get what they wanted. its so perfect for my friend n son.. but not for me sometimes.